Late last year Square Enix announced the Wii release of the first MMO in the fabled Dragon Quest franchise, Dragon Quest X. The game launched on August 2nd and met a very positive reception from the Eastern audience but a new announcement brings with it the possibility of a Western release. 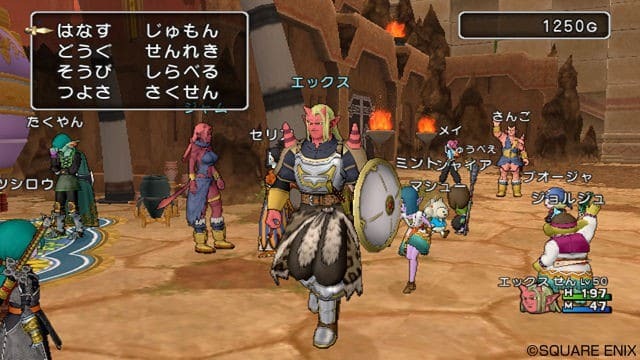 Over the weekend Square Enix announced that Dragon Quest X will be heading to PC on September 26th. Square Enix also announced that the game will be available on Nintendo’s next-generation console, the Wii U last year . However, it’s unclear if they plan to stick with the previously released financial plan. In a rather bold move Square Enix revealed that players will be able to enjoy the game for free, but only for 2 hours a day. Should they wish to spend more time in Dragon Quest X they will need to subscribe at a cost of $13 per month, a rather hefty price by today’s standards. There’s very little information available currently, unless you’re fluent in Japanese. However a little birdie recently told me that we can expect a possible English announcement trailer closer to Gamescom. Watch this space!